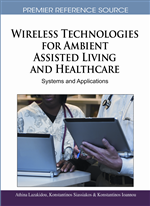 This chapter focuses on the management process of the wireless sensor networks in telemedicine applications. The main management tasks that are reported and addressed covers: topology management, privacy and security issues in WSN management, topology management algorithms, and route management schemes. Also, failure detection in WSN and fault management application using MANNA was presented and discussed. The major challenges and design issues facing WSN management was touched in a separate section. Typical telemedicine interactions involve both store-and-forward and live interaction. Both the traditional live and store-and-forward telemedicine systems provide an extension of healthcare services using fixed telecommunications networks (i.e. non-mobile). Various telemedicine solutions have been proposed and implemented since its initial use some 30 years ago in the fixed network environment using wired telecommunications networks (e.g. digital subscriber line). Technological advancements in wireless communications systems, namely wireless personal area networks (WPANs), wireless local area networks (WLANs), WiMAX broadband access, and cellular systems (2.5G, 3G and beyond 3G) now have the potential to significantly enhance telemedicine services by creating a flexible and heterogeneous network within an end-to-end telemedicine framework. In the future, integrating wireless solutions into healthcare delivery may well come to be a requirement, not just a differentiator, for accurate and efficient healthcare delivery. However, this raises some very significant challenges in terms of interoperability, performance and the security of such systems. Telemedicine approach means how to use modern telecommunications and information technologies to provide clinical care to individuals located at a distance, and to support the transmission of information needed to provide that care. It can be sub-divided into 'live' and 'store-and-forward' telemedicine [H S Ng 2006]. Live telemedicine requires the presence of both parties at the same time using audiovisual communications over high-bandwidth and low-latency connections. Almost all specialties of healthcare are able to make use of this kind of consultation, including psychiatric, medical, rehabilitation, cardiology, pediatrics, obstetrics, gynecology and neurology, and there are many peripheral devices which can be attached to computers as aids to an interactive examination. Store-and-forward telemedicine involves the acquisition of data, images and/or video content and transmission of this material to a medical specialist at a convenient time for assessment off line. Many medical specialties rely a great deal on images for assessment, diagnosis and management, and radiology, psychiatry, cardiology, ophthalmology, otolaryngology, dermatology and pathology are some of major services that can successfully make extensive use of the store-and-forward approach [H S Ng 2006]. The advances in the growth of medical sciences, biomedical engineering, communications and information technologies have enabled the growth of telemedicine to provide effective, efficient and improved health care. Medical care generally relies on the face-to-face encounter between patients and doctors. In places where face-to-face encounters are not possible telemedicine links are relied upon to link patients to specialist doctors for consultation for obtaining opinion. The advantages of telemedicine is in providing improved health care to the underprivileged in inaccessible areas, reduce cost and improve quality of health care and more importantly reduce the isolation of specialists, nurses and allied health professionals. The term telemedicine refers to the use of telecommunications and computer information technologies with medical expertise to facilitate remote health care delivery, medical services to remote areas or across great distances on the globe. It also covers any form of communication between health workers and patients through electronic equipment from remote locations. Telemedicine applications are either based on store and forward or two-way interactive television technology. The store and forward method is used for transferring medical data and digital images from one location to another. Medical data like ECG, heart rate, oxygen saturation, respiratory rate, blood pressure, etc., and images like CT, MRI, ultrasound, etc. Two-way interactive television (IATV) is used when there is a need for a 'face-to-face' consultation between the patient and specialist doctor in another location [ Poondi Srinivasan, 2007]. In telemedicine, a typical scenario is two doctors are involved with the patient: a local attending doctor and a remote tele doctor who is engaged to do one or more of a variety of services ranging from tele-consultation, or performing a tele-surgery, as well as tele-diagnosis where a doctor tele-diagnoses a sickness. The concept of telemedicine is not new; an early instance of telemedicine took place in 1959, when a two-way video conferencing link was established using microwaves between University of Nebraska Medical School and a state mental hospital [B. Jeffrey, 1999]. Until the late 1980's, the telemedicine systems were just video conferencing systems with the existing communication infrastructure and they could not provide additional functionality. But in the 1990's the rapid growth of the computer technology enables the telemedicine technology to grow into a more complex and feature-rich service. The recent advances in telemedicine applications are propelled by two converging trends, which are the advances in Internet and telecommunications technologies and the increasing demand for access to high-quality medical care irrespective of location or geographical mobility. Wireless telemedicine is a new and evolving research area that exploits recent advances in wireless telecommunication networks. The conventional telemedicine systems using the public switched telephone network (PSTN) and Integrated Services Digital Network (ISDN) are available for doctors to deliver the medical care and education remotely. The introduction of wireless telemedicine systems will provide further flexibility, wider coverage and new applications for telemedicine [C. S. Pattichis, 2002]. The wireless telemedicine systems can provide better healthcare delivery, regardless of any geographical barriers, time and mobility constraints [S. Laxminarayan, 2000].